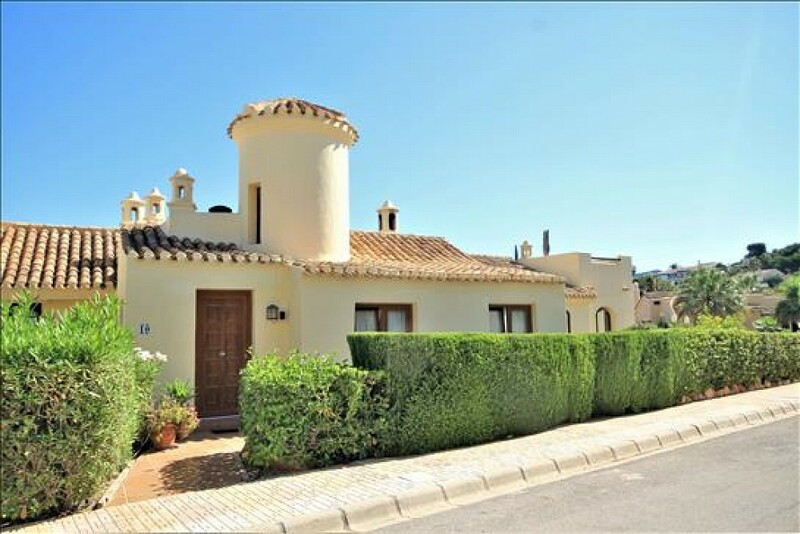 There have been many variations on the original footprints to properties in El Rancho and this is a very good example of a tasteful and functional extended two bedroom villa. The kitchen has been completely altered with an open plan aspect to the living area. An additional sitting room has been added which could easily be used as a third bedroom. Both bedrooms have been extended to give generous space with plenty of storage and the bathrooms have been completely refurbished. This delightful villa is situated immediately next to one of the nine swimming pools in this community and is just like having your own pool in your garden! Parking is directly outside the property with level entry and the nearby shopping area of Bellaluz is a few minutes walk away.